There is also something uniquely fulfilling and beautiful about decorating your home or giving someone a gift with something you made. A lot of people use sawzall to practice this art and have become somewhat masters of their trade. It took them a lot of effort as this is no walk in the. But they had to start somewhere too right. 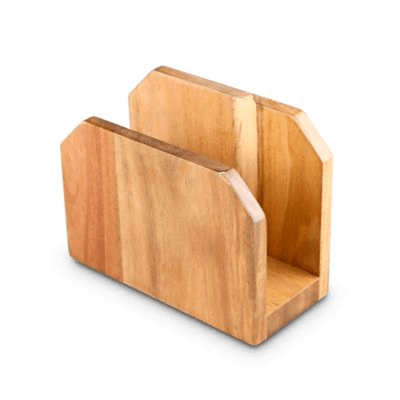 If you’re looking to get into it, here some simple woodworking ideas that can get you started. There are a lot of cool woodworking projects about some easy wood ideas from wooden desks, shelves wooden clamps, trays and decorative articles to coffee table plans, tv stand plans, bed frame woodworking plans, rocking chairs wine holders, clocks, fences, wall designs, bird houses, cutlery, coasters and what not, that you can try as beginners and they tell you how to do it step by step. We’ve just gathered a few of them here and hope you’ll like one of these try them on our own. Interested in growing food in your own backyard, but don’t exactly have the green thumbs needed? Why not kickstart your backyard harvest with a homemade wooden garden? 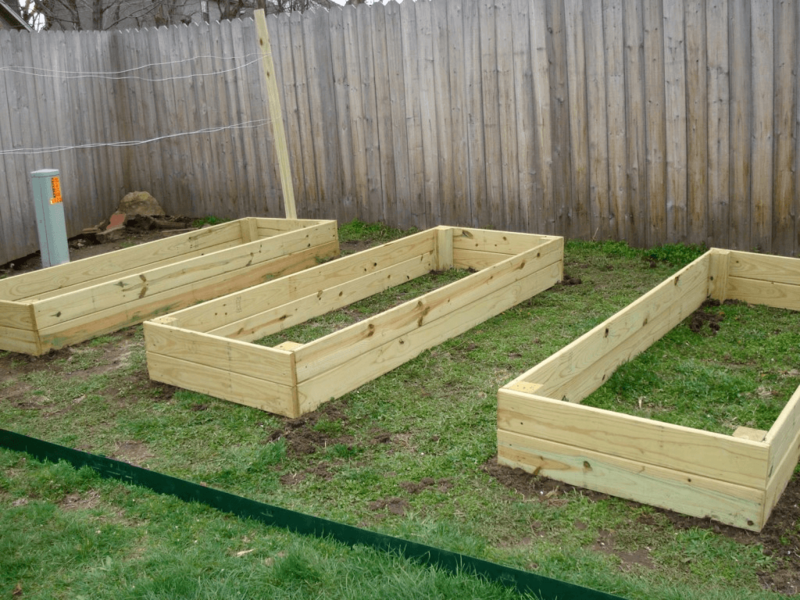 It’s an incredibly simple woodworking project that takes nearly no time at all, and will be sure to reduce the hassle of planting and maintenance to almost nothing! You only need a couple of boards and a sheet of plywood, and you’ll be on your way to a cornucopia of tomatoes, cucumbers, basil, zucchini, rosemary, carrots, and anything else your heart and stomach desire! Just make sure to keep on the watch for pesky animals looking for a snack (especially gophers and deer)! 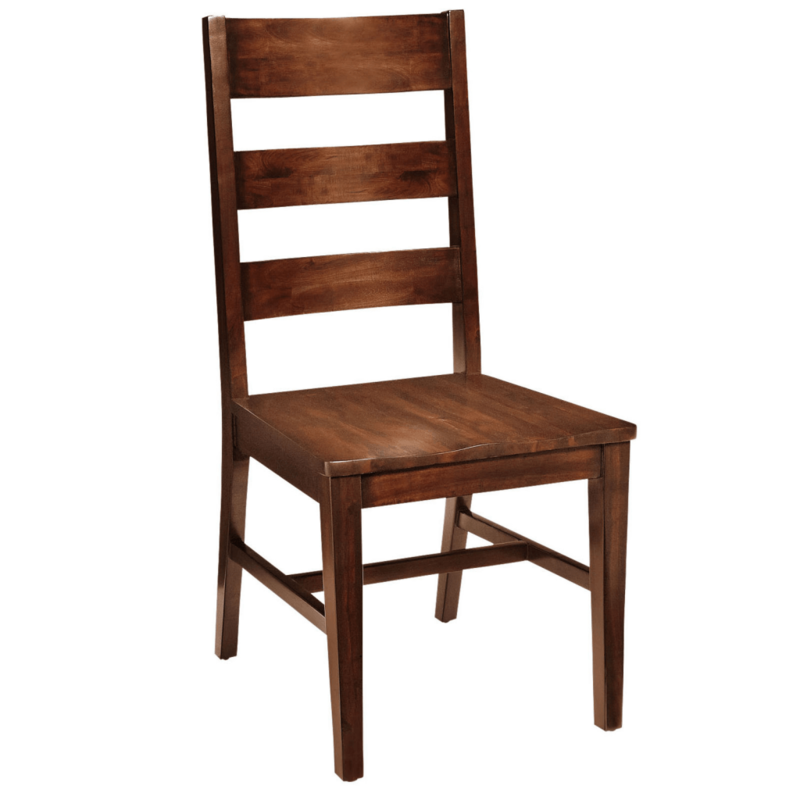 If you are through and mastered all the small trinkets of the woodworking universe, perhaps try your gifted woodworking hand and the staple of all woodworking: the dining room chair. It harnesses all the basic woodworking techniques gathered through six to twelve months of dedication to the craft. Plus, buying and moving furniture is a bit of a pain, depending on where you live and how far away your nearest furniture store is. If you’re able to make them right in your garage, you don’t have to worry about any sort of transportation damage, and you don’t have to settle on a style since they will be completely custom made! We all have at least one messy eater in the household (and if you can’t think of anyone right now, the odds are it is most likely you! ), and with messy or unrefined eaters, no meal is complete without a napkin or two to keep everything looking keen and sharp. But instead of just leaving a pile of napkins on the counter, why not spend a couple of minutes and make a pretty napkin holder to have on the dining room table? It does not require much skill at all to make, and it will add that missing element to the dinner table! 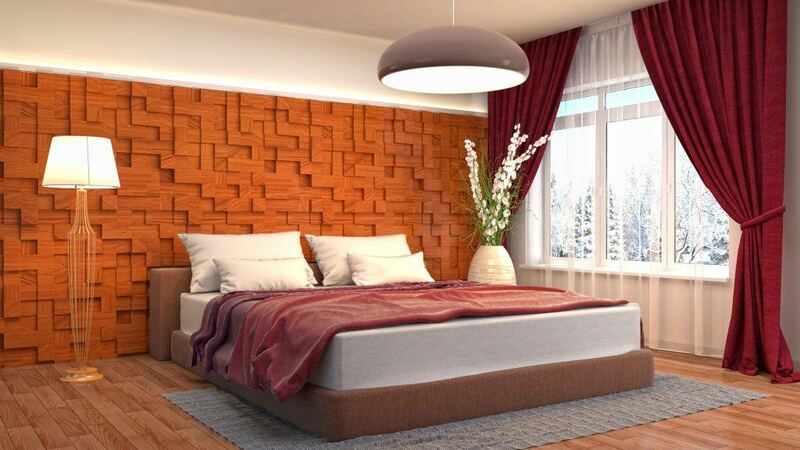 The headboard is what separates a plain old mattress in the middle of the bedroom floor from the deluxe, suite style bed that grabs the attention of the room. Why pay a ridiculous amount of money for a simple headboard when you can make your own, with nothing but an old pallet or two and some varnish? It won’t take you much more than a couple of screws, a little wood glue, simple power tools, and a few hours of work to completely transform your entire bedroom. And with a little bit of paint, there are thousands of ways to have the headboard match perfectly with any bedroom. Want to make a gift for a special guitarist that you know? Got a cool idea for a shelf or tree decoration, or even a centerpiece for a necklace? 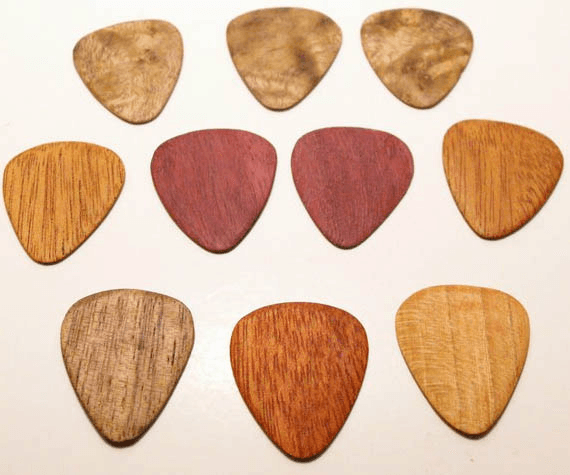 These guitar picks are quite the knick knack that is easy to make, but will still impress anyone you show them to! All it takes is a little bit of cutting, a generous amount of sanding, and a keen attention to detail, and you will start making these faster than your friend can play one of the many Beatles songs that he claims to know. Feel free to paint a little design on them and market them as your own signature design! Without a coffee table or a small table nearby, trying to enjoy a meal or snack on the couch while watching your favorite show is next to impossible. However, there’s this new trend that’s hitting the conventional market: Sofa Table Sleeves. 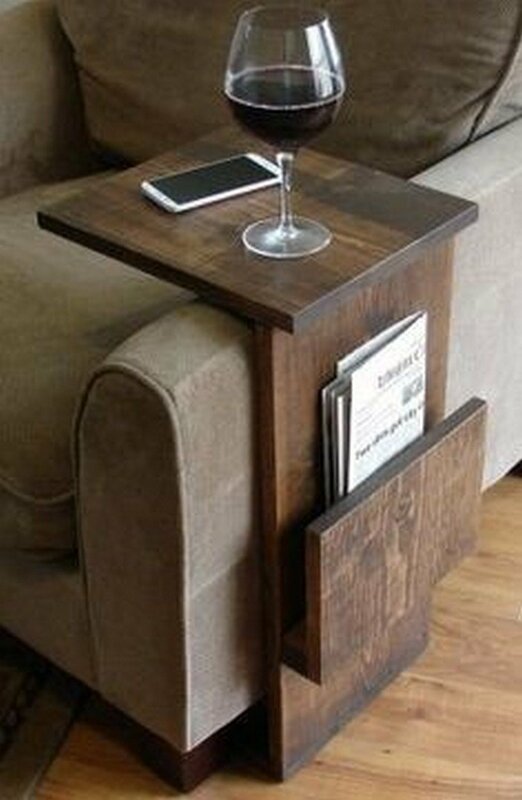 The sofa table sleeve consists of only three boards nailed or glued together, and the optional indent for a beverage, and it is slowly becoming a necessity for any couch. As the name states, it slides right on the edge of the couch and can be removed painlessly and effortlessly. It’s as sturdy as a table, and a must have for any TV snacker! Who doesn’t love a good pencil holder? Kids need them, artists require them, and offices flow better with them. Having to keep pens and pencils organized on a desk without a good pencil holder is quite a difficult task. 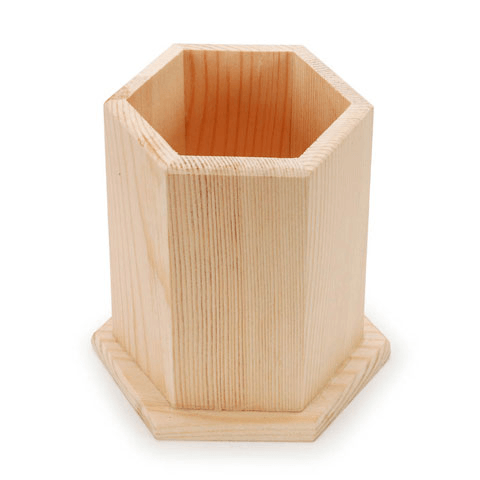 And you can make one of these simple, yet elegant pencil holders with nothing more than a couple of pine boards from an old pallet and some wood glue. No screws or power drills required! You can add a finish to them and have them blend with your desk, or you can take some paint, give it to a daughter or son, and have a lovely painted pencil holder on your desk to remind you of your kids at the office, better than a picture can! 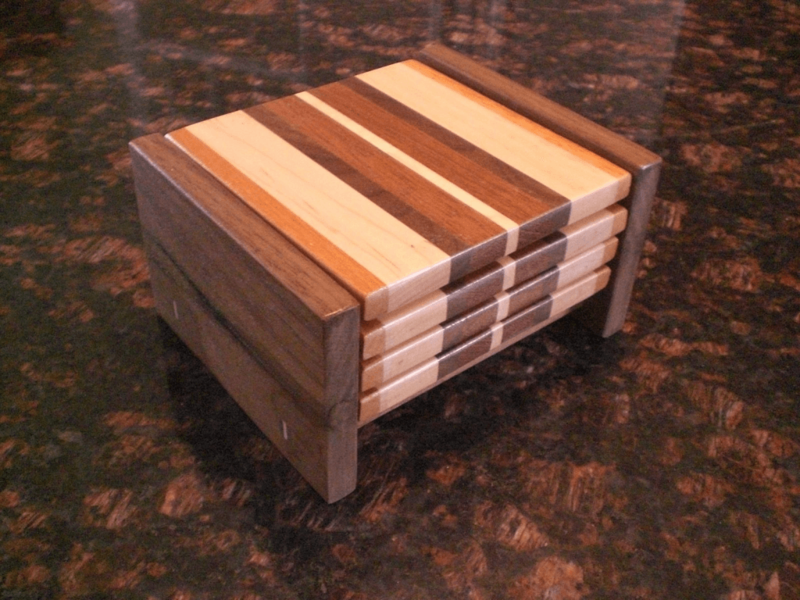 Need a really simple woodworking project with next to no supplies or wood required? Look no further than some wooden beads. Wooden Beads via American Woodcrafters Supply Co.. These are a modern staple for any arts and crafts project, and can easily bring some rustic flair to any homemade earrings or necklaces. Like the guitar picks, it requires almost no tools, and only really requires a good deal of sanding to get the sphere like shape just right. And don’t worry if you make too many! Simple wooden beads sell like hotcakes for the thousands of Do it Yourself Jewelry makers that inhabit all corners of the internet. Can’t imagine this one will be too hard to make! Getting the materials will probably be the most difficult part of the woodworking project! All you need is a decent size tree stump. 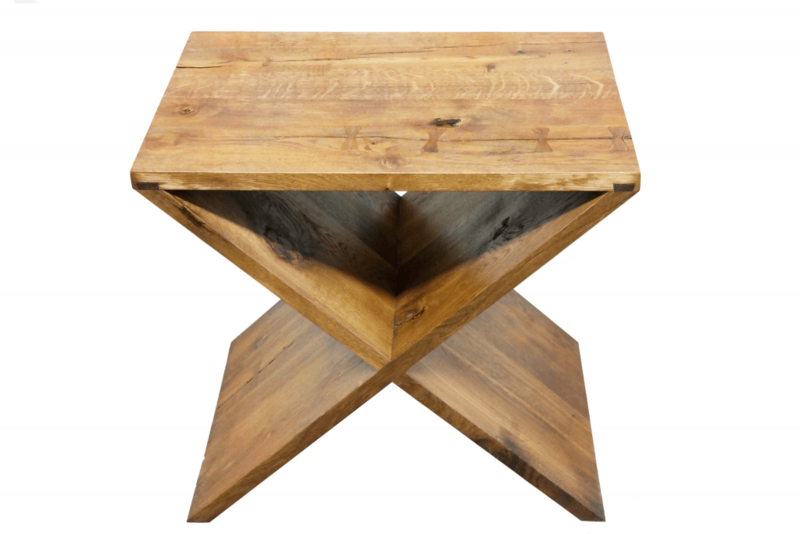 All you have to do is shave off the bark and sand down the top, bottom, and sides and throw a little varnish on there, and you’ve got a functioning, one hundred percent rustic table, straight from the tree itself! It will certainly be a little heavier than the average small table or nightstand, and it’s probably a bit difficult to carry around, but it will definitely help start conversations with guests! How often do you forget your keys and accidentally lock yourself out? Better yet, how often does your roommate or spouse forget their keys and come crying to you to unlock the door and get them back into the house? 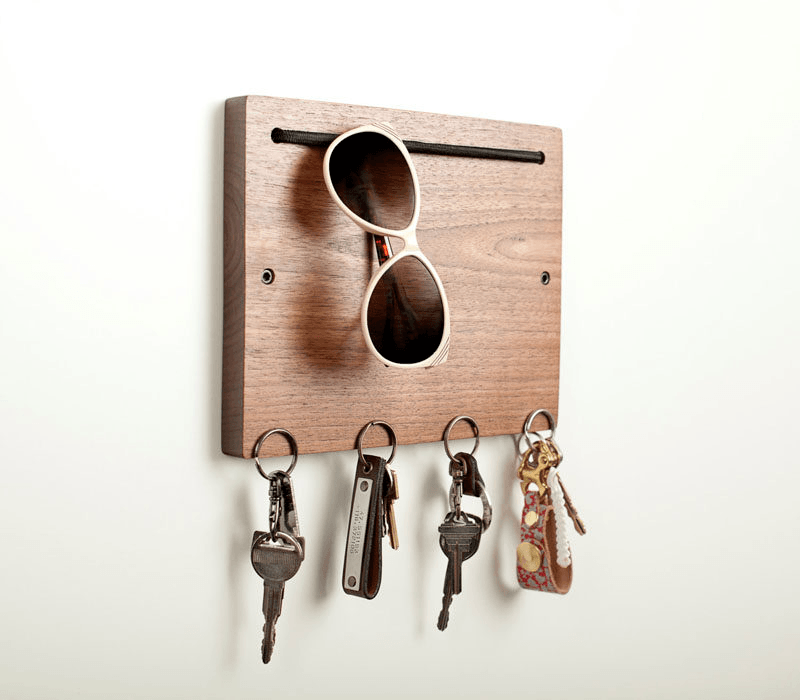 If the answer is too many to count, then perhaps it is time you made yourself one of these key holders to place right next to your front door. 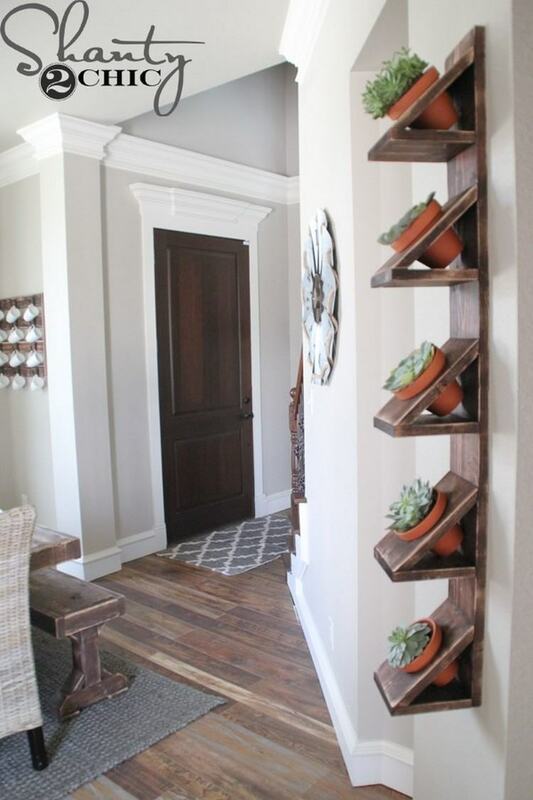 They fit surprisingly well with any room, and they’re incredibly simple to make! You can even go one step further and write a snarky note on the wood to your overly forgetful housemate. Be honest: how awesome does this look? Think about how awesome it sounds! 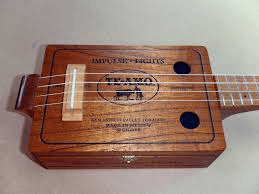 They sound incredibly good and best of all, they’re incredibly easy to make, even if you have to construct the cigar box yourself! You will need some extra supplies, such as a fret board with the headstock, a pack of nylon strings with the correct gauges for a ukulele, a bridge, and (if you are into fancy electronics and want to hook up the ukulele to an amplifier) an attachable pick-up. Embrace the hipster deep down inside you and write your own ‘Mumford & Sons’ style ukulele jam and be the underground life of whatever party you crash or ale tour you take! 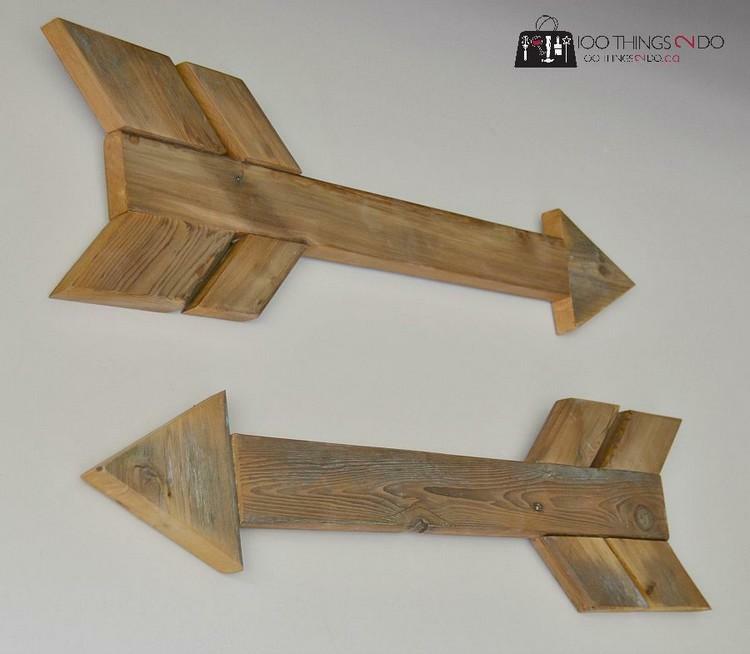 They’re quite easy to make and can be the perfect addition to the style of any bedroom. 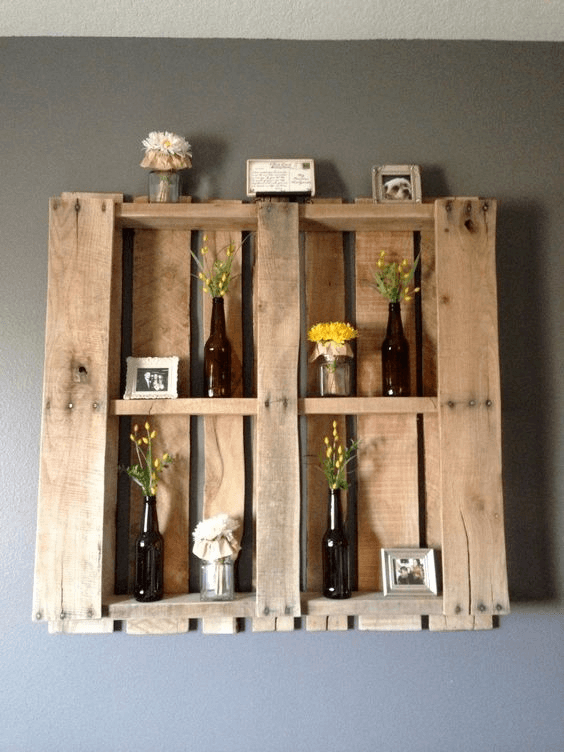 You can easily make one of these out of an old pallet board and some plywood too! 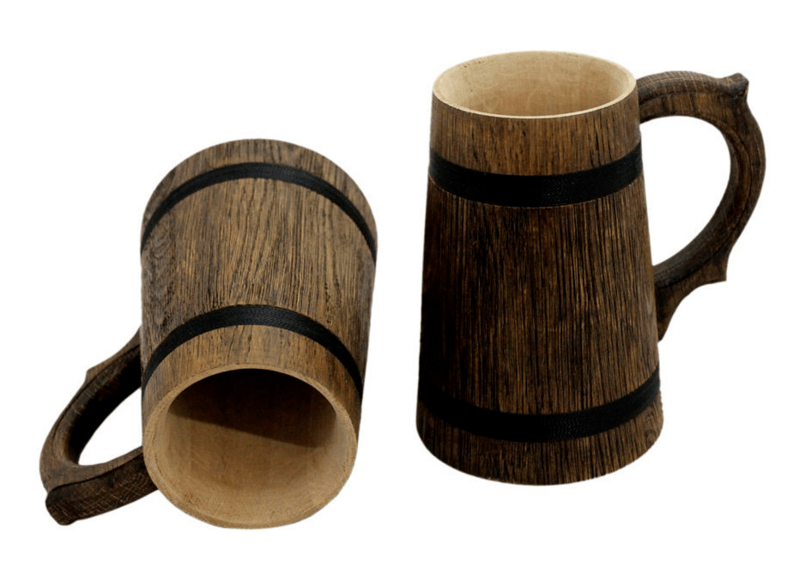 What is more rugged and burly than a wooden stein filled with the finest ale or mead? These mugs look like a challenge, but there’s actually not that many steps included in making one of these for yourself! 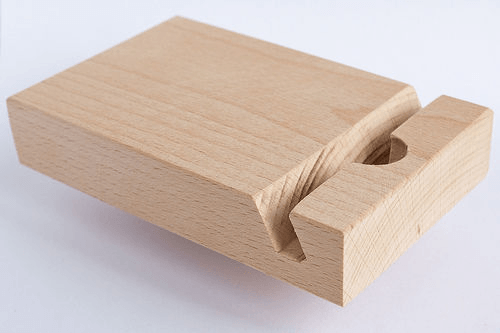 The hardest part will probably be the handle, so if that becomes an issue, you can purchase one at nearly any craft store in your area and either wood-glue or screw theses straight to the mug. Impress your drinking friends the next time you invite them over to drink and live up the night, pretending to be vikings or bandits in an old western saloon! Don’t be turned off by the name of this glorious invention! While the lineage of this culinary trinket is as fuzzy as a peach, it continues to be one of the most convenient centerpieces for any dinner table. And lucky for you, it happens to be one of the easier centerpieces to make. With one of these, you will never have to awkwardly ask someone else at the table to “pass the [blank]”. All you have to do is give the Lazy Susan a little spin, and the item you need will be right in arms reach in seconds flat! Interested in adding a little sass or humor to your kitchen? Consider making one of those witty kitchen signs you have seen all over the internet and in select magazines! They’re incredibly easy to make, and you can put just about whatever message you want to put on there. 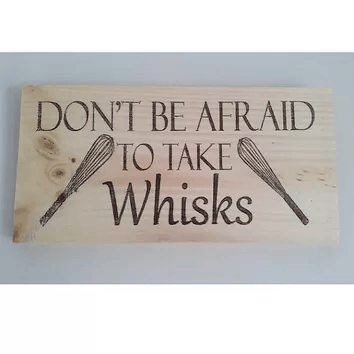 They are great conversation starters and can help guests not only get a sense of your personality but also help the guest feel right at home with the colloquialism that follows with a sassy or humorous kitchen sign! These will be perfect additions for when family comes over for the holiday dinner as well! Anyone who is in business knows the most important part of being a businessman or woman, above everything else, is networking. And we all know that the best way to keep perfect connections with people is with the perfect business card. And when important people with thousands of connections stumble into your office, the best thing you can do is to have your business card on display in an aesthetically pleasing fashion. 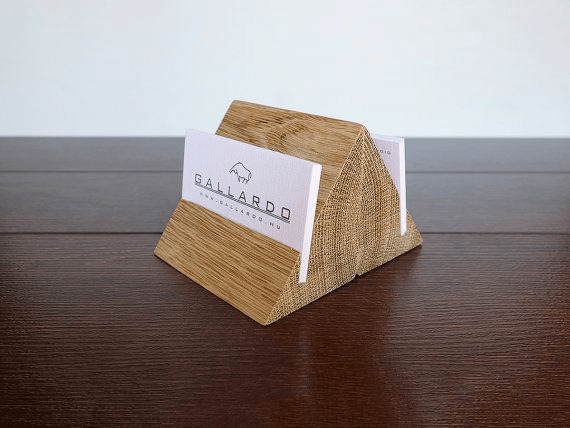 And a business card holder is not only incredibly easy to make but is also the easiest way to put the card on display for everyone in your office! 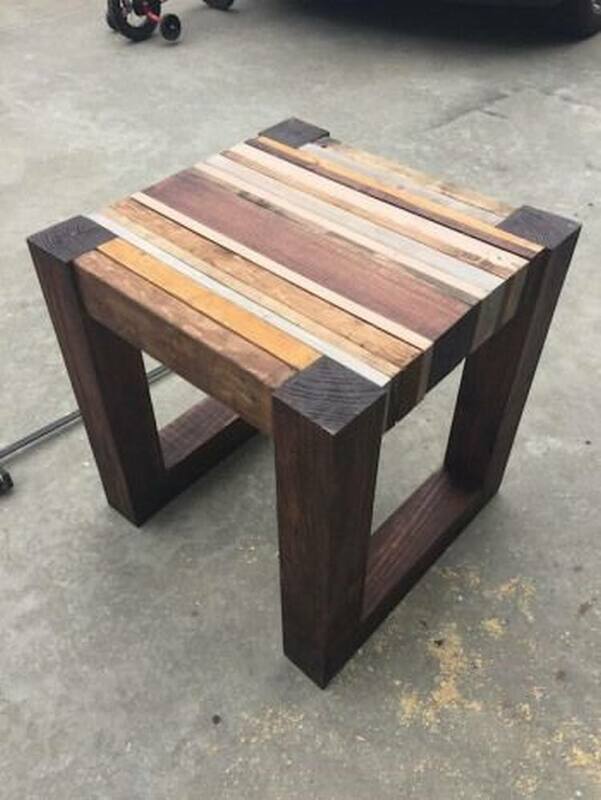 Want to make a nice, rustic piece of furniture but your sa​​w’s on the fritz? Don’t worry about a thing! Just use the whole freaking pallet to make a shelf for your living room, bedroom, bathroom, or observatory, with little to no assembly required! All you need is a couple of nails to hang it up, and a little sanding around the edges to help avoid any unnecessary mishaps and disasters in the splinter-specific region. These pallets are exceptionally sturdy and make surprisingly good shelves, albeit they can become quite heavy and can prove difficult to hang on the wall. 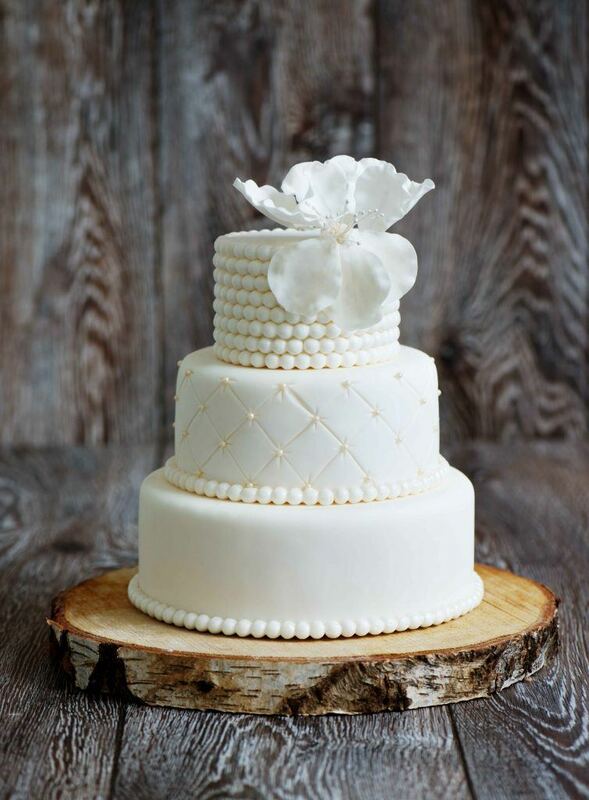 You don’t need to be a Cake Boss to proudly show off any cake or pastry in a glorified fashion. And a great cake stand is far easier to make than you may think! Got a workshop you want to accessorize for? These rolling carts are perfect for any room: garage, kitchen, laundry room, bedroom even (provided that these areas don’t have any thick carpeting). They’re very convenient, and also incredibly easy to make. With just a couple 2X4s, attachable wheels, and some screws, you’ll have your own personal assistant carrying all your tools and supplies wherever you go. And the best part: you don’t have to pay or feed it! You can use these to move around multiple power tools in your garage, hold onto ingredients when cooking, as a personal folding station, or even as a portable nightstand! 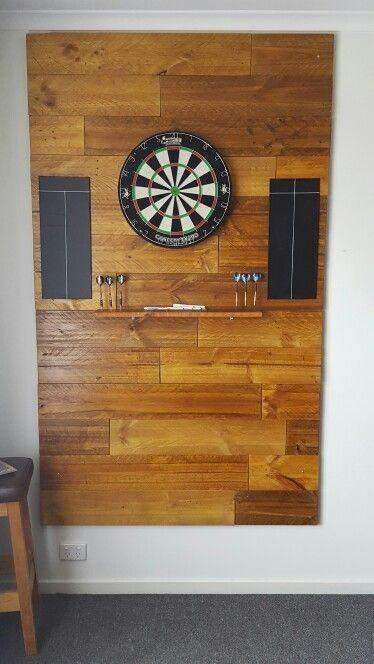 Fancy a game of darts, but afraid you will destroy the integrity of the wall with thousands and thousands of missed shots from possibly inebriated house guests? Try your hand at making one of these nifty dart backboards! 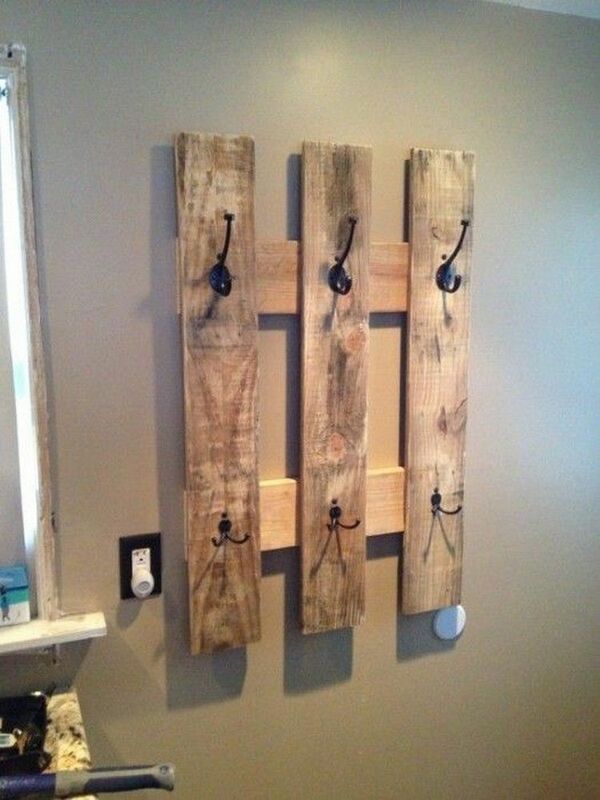 It doesn’t take much more than some spare pallet boards and a couple of nails to make too! The trickiest part of this entire wood project will be getting the board to stay on the wall, but if you do some nifty French cleat cuts for a back support, getting the backboard to stay on the wall will not be any problem at all! Enjoy the beads project? Want another easy project that you can make in bulk? Buttons are right up your alley! These little suckers are one of the easiest and offer an entire smorgasbord of different combinations, styles, and variabilities to keep you occupied and creatively designing for years! Plus this is the best part: if you happen to make way too much more buttons than your heart ever desired, you can sell them for a decent profit on websites such as Etsy and Free Craft Fair! 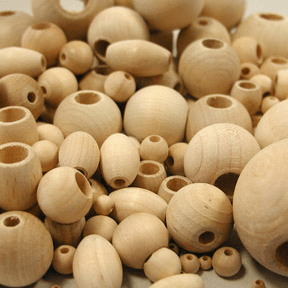 People are constantly buying little things like wooden beads and buttons for their own woodworking projects. 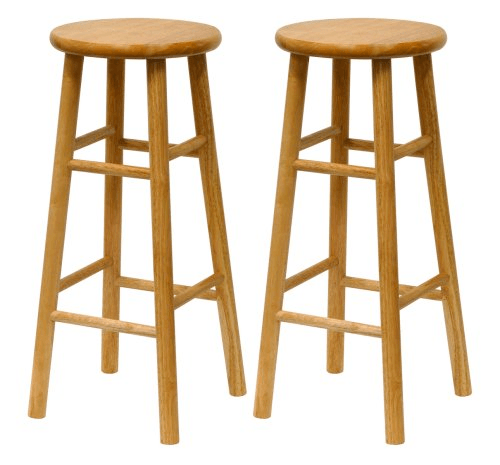 Bar stools are one of the oldest and most suitable furniture for any kitchen, home bar, or studio apartment. They’re incredibly easy to make, surprisingly lightweight and portable, and above all, quite comfortable, even without any sort of back support. 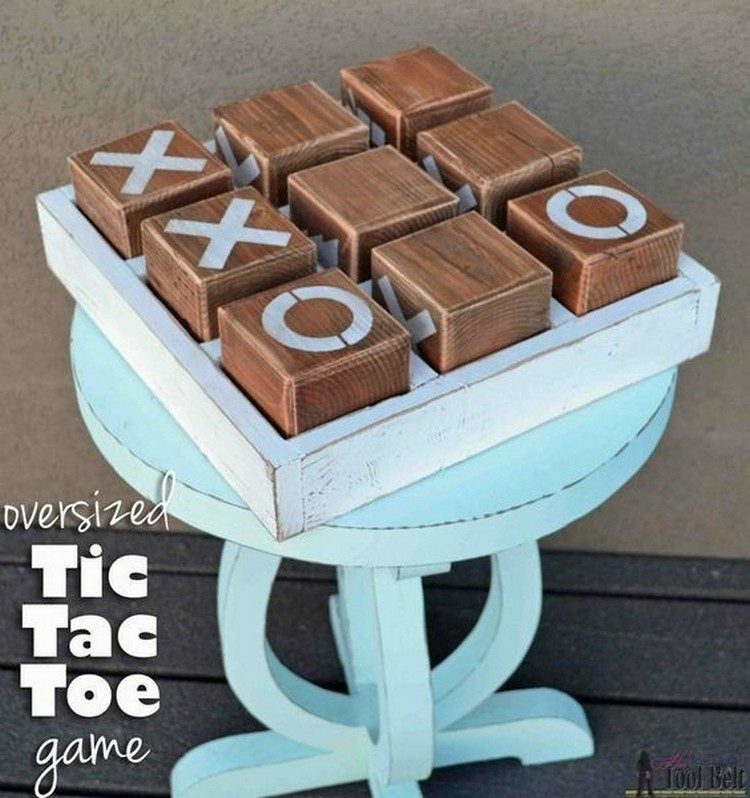 These are a perfect stand-in for a dining room chair if you have more people over playing a ‘friendly’ board or card game than chairs in the dining room. 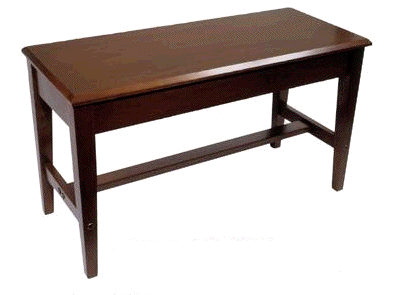 X-Tables are the perfect solution for the portable table that is perfect for parties and beats the coffee table competition. They’re incredibly portable, incredibly durable, incredibly reliable, and incredibly easy to make. 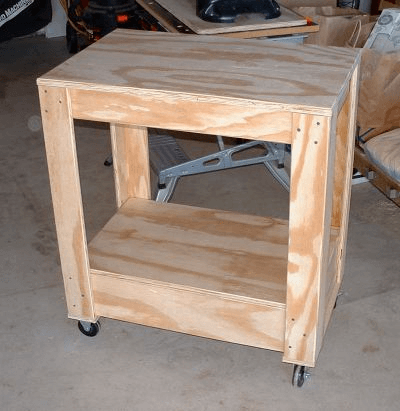 As long as you have some plywood lying around, you can easily make one of these tables within two hours! You can use these anywhere from kitchens as a place to temporarily hold ingredients, in the living room as a place to store coffee and a novel, in the TV room as a place to store snacks and extra food, or even in the bedroom as an alternative to a nightstand or as a folding station for your laundry! You can put anything from a minimalistic tree or garden to the names or nicknames of the people that get to use the coasters themselves. And if you’re really handy with a pa​​intbrush, you can put your own artwork on the coasters like artist Laura Liberati did ﻿here. Now that’s a groovy coaster! Shoe racks are the perfect solution for the house that has way too many shoes per person in the house. This easy to make furniture fits perfectly in front of any front door, and is much more aesthetically pleasing than you would imagine. 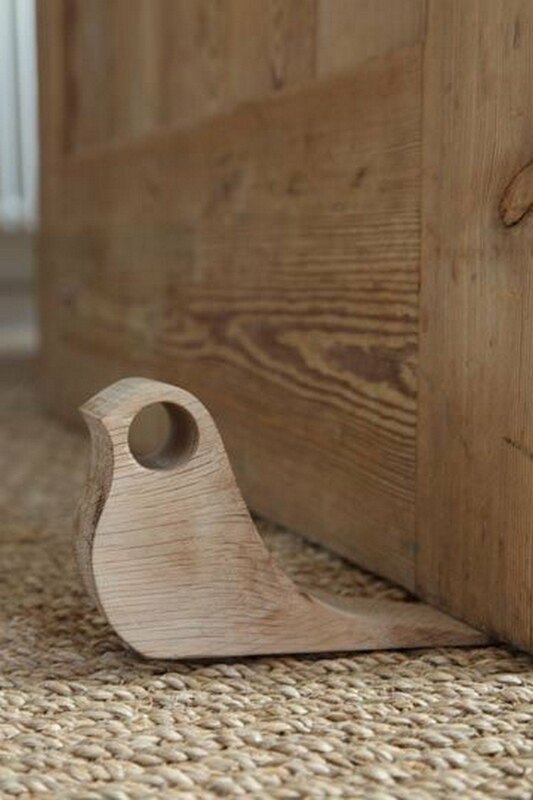 Even though it’s a giant block of wood in the middle of the floor, the organization of the shoe gives this item the illusion of a perfectly placed shelf that can peacefully catch the eye of house guests. 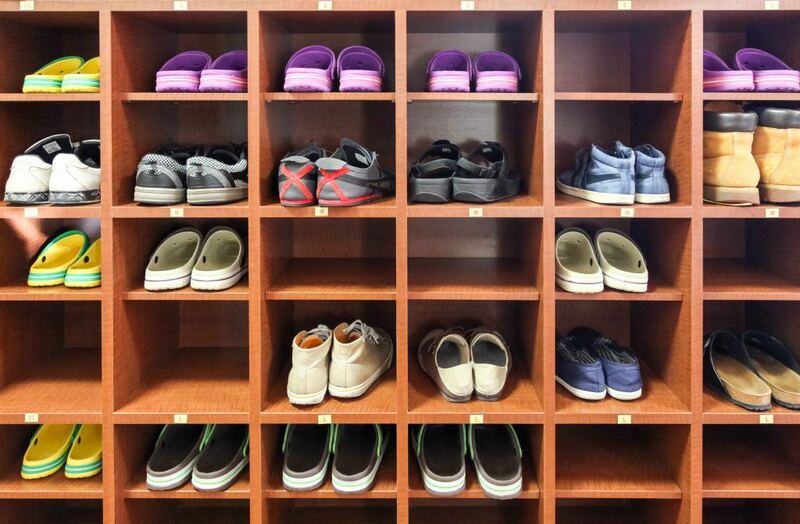 You can place these next to the front door, right outside the garage, the mud room (if people still have those in their houses), and even the bedroom, if that’s where you keep the majority of your shoes. Nothing shows confidence and proper planning coordination like a good clipboard. These, along with the stealthy ear piece are the perfect combination for a director/coordinator for extravagant birthday parties, bar mitzvahs, weddings, benefit concerts, trade fairs, and anything else that may need a special coordinator to make sure everything gets done on time and gets done the right way. 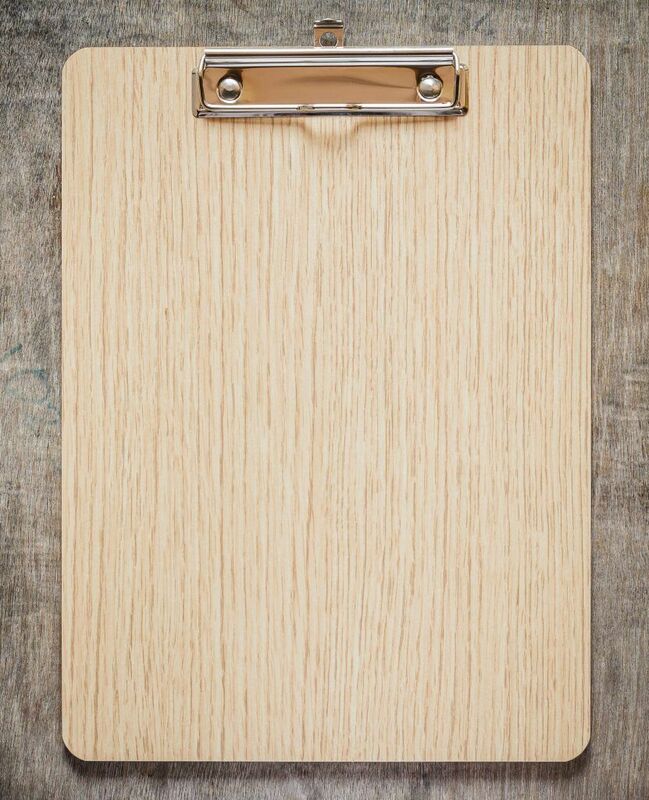 These people need clipboards, and what better way for you to show their appreciation by gifting them with a homemade clipboard? And if you’re not a big event kind of person, you can make on for yourself. They’re quite useful as shopping list holders. Designer sunglasses are all the rage, but sadly, they often come with a hefty price tag. 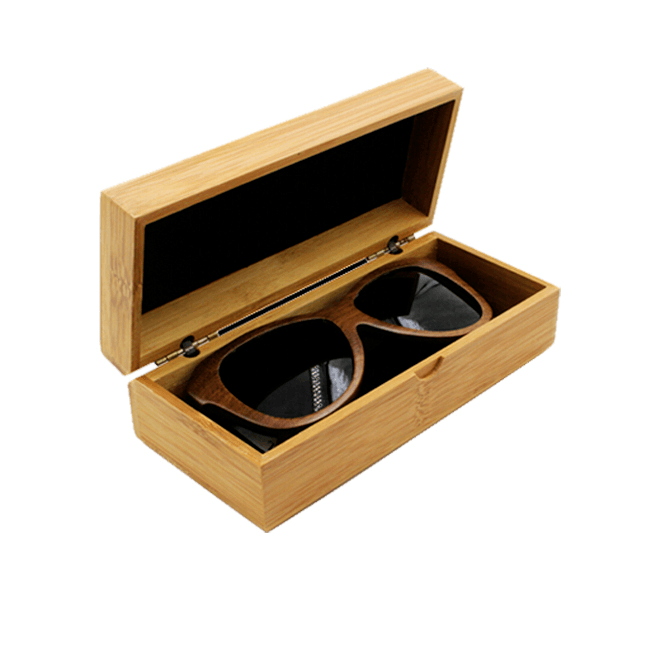 A sunglass box is the best way to keep your designer sunglasses in the best shape possible and are incredibly convenient and portable. You can take one of these on the road in the bumpiest car ride of your life without worrying about a single scratch coming your way! All it takes to make is a little bit of felt, some small hinges, and an optional locking mechanism of your choice, just to make sure it stays closed when it needs to be closed. 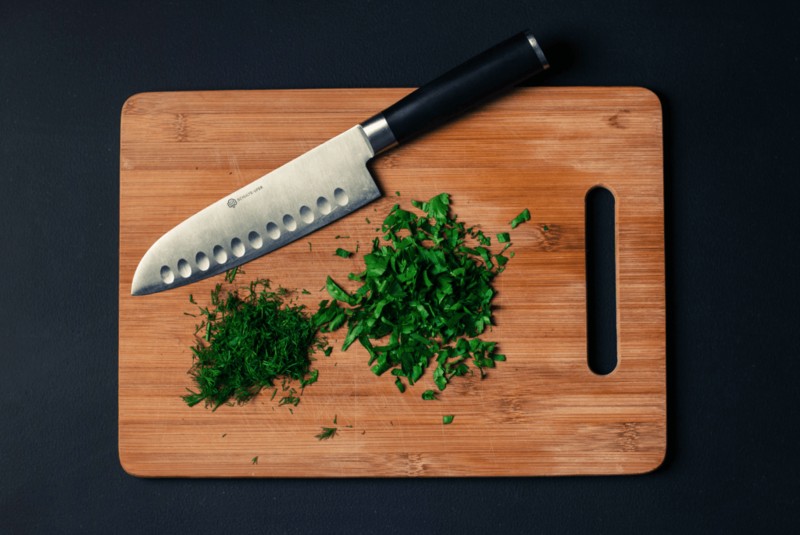 Knives are an absolute necessity for any cook or chef, and a good, sharp knife can make or break the meal, not to mention the will and composure of the person using the knife. But with constant mistreatment and shoddy care, these knives can get to be as dull as my uncle on a Friday night. Knives need to be protected when they’re not in use, and that’s where the sheath comes in. proper sheath will help preserve the blade of the knife and have it cutting strong for many more years of slicing, dicing, mincing, and chopping to come. 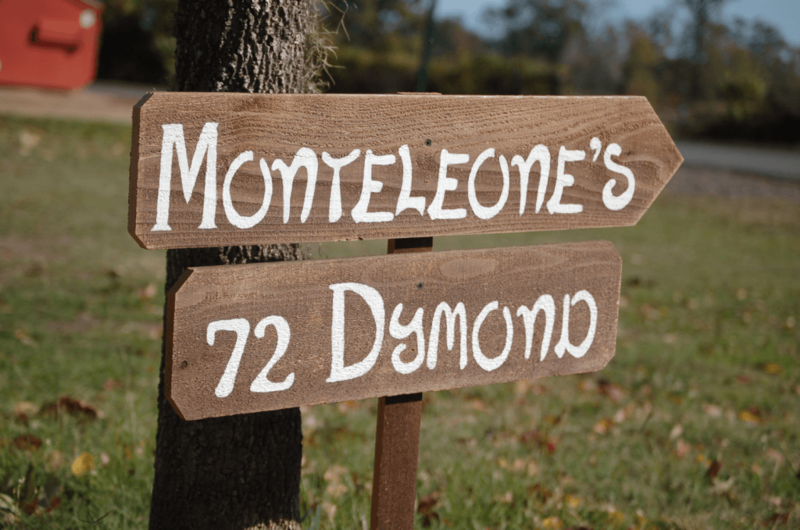 Similar to that of the kitchen sign, you can personalize the entrance to the home immediately with a beautiful address sign. Have a house that lies in the middle of a forest and is often passed or missed whenever people are trying to come by for a visit? An address sign can easily help prevent any accidental passings or wrong turns when people are coming over for the first time. You can have this sign simply have the address, your last name, or even a clever saying, such as “Welcome! Sorry for the noise.” or “No Trespassing (Unless you have the beer)”. They’re very easy to make too! Remember playing the game ‘Jenga’ as a kid? The whole game of balance and strategy, picking out block by block until the structure collapses are quite easy to make, all things considered. All you need is a couple 1” boards, a good deal of time to cut and sand, and you can start cranking out sets of these blocks in no time! And even better: you can personalize the blocks with whatever you like! You can brand them with members of your family, or throw a drinking twist on the game by putting some Kings-style rule on every block. 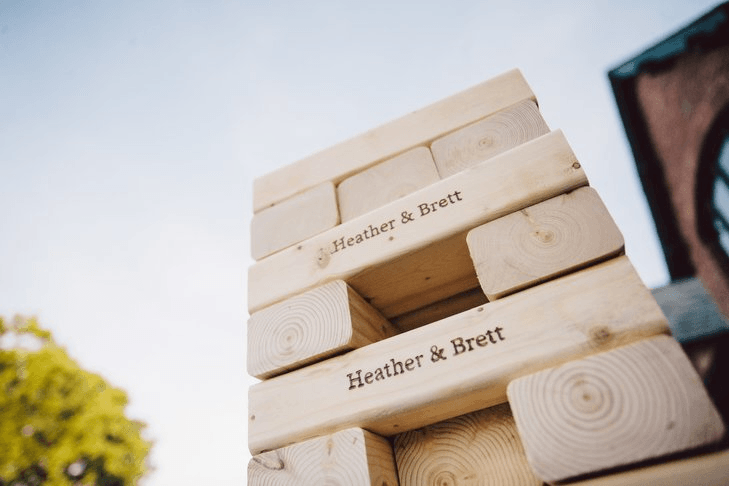 You can look here for ideas on what to put on the blocks. You have that beautiful picture or poster that you wish to preserve, but don’t want to spend an outrageous amount of money on a picture or poster frame? Some picture frames cost more than the artwork or poster itself! Save yourself the unnecessary expenditure and make the frame yourself! 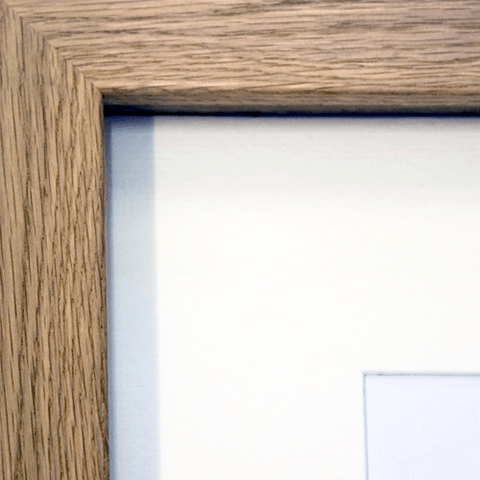 It doesn’t take much more than some good cuts, a little sanding, and a bit of quality finish or paint to get a prize-worthy frame perfectly suited for the artwork or poster you wish to display. The solid frames are the easiest ones to make, but if you’ve got the talent, feel free to experiment with different designs and even create a new kind of border! You ever have the struggle of trying to watch something on an iPad, but need the flexibility of having both hands free? Why not create an iPad dock of your own! These beauties are quickly coming into style with the rising popularity of products like the iPad and the Amazon Kindle. They’re designed to be handheld, but the dock makes it so much easier to watch videos and movies while keeping your hands free. It takes a little bit of measuring and skill to get the cut just right, but there’s plenty of videos online to help make sure you get the cut just right and minimize any mistakes. You can watch one of those here. Need a place to store those beautiful flowers from a loved one or personal garden, but not a big fan of the giant, antique vase? I strongly recommend making a bottle vase holder! 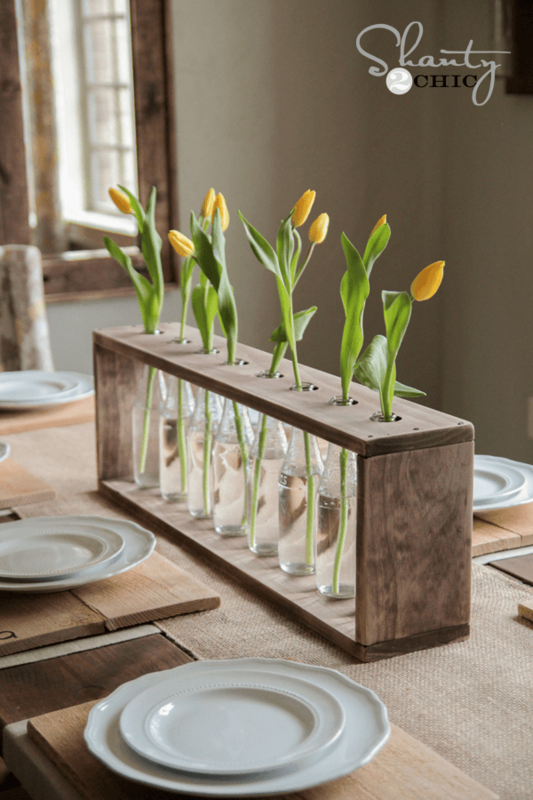 These easy to design, easy to make bottle vase holders are the perfect starter project for anyone new to the world of woodworking and looking for woodworking plans for beginners to help get them off the ground. 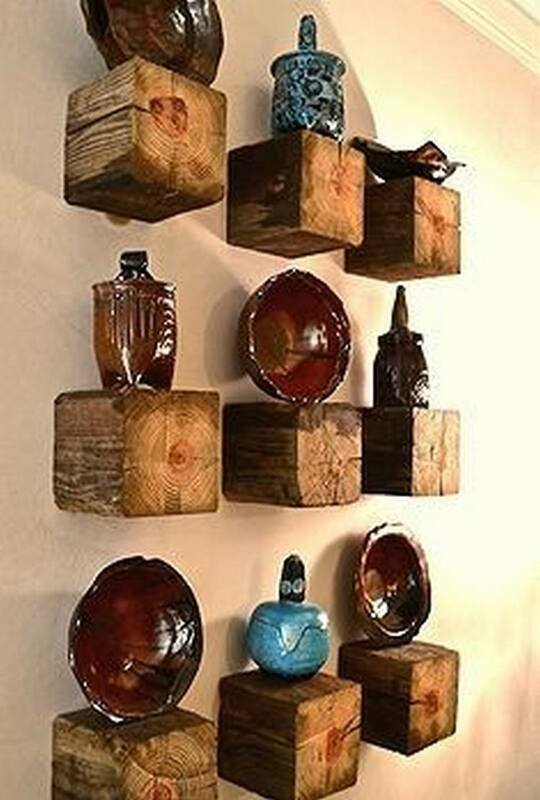 Bottle vases are also a beautifully rustic addition to any household and also make some great centerpieces. These are perfect for that giant bouquet of flowers from Valentine’s Day or for that pretty little daffodil that your daughter or son picked from your “garden”. 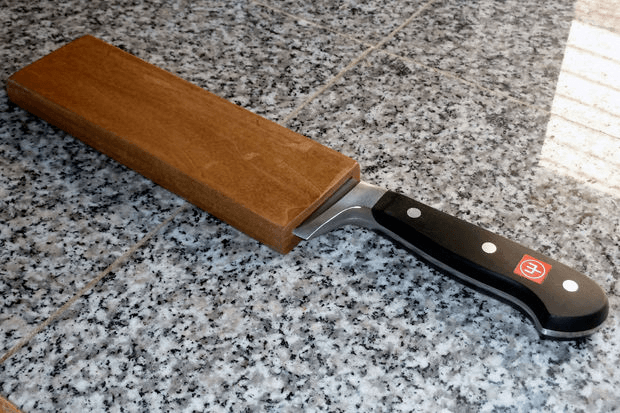 On the spectrum of easy wood projects, cutting boards are about as easy as they get. Cutting boards are nothing more than a couple of pieces of wood glued together and sanded, with the optional easy finish job. Even if you don’t own a piano, a beautiful piano bench can make the perfect compliment to any room that also stores as a nifty place to store small stuff. Like the sunglass box, you’ll need to be good with attaching hinges and with making boxes (which in this case will double as a seat). After the basic construction, apply a generous amount of finish or paint to give the piano bench rich, vibrant dark shine that it’s known for. These can easily be substituted for common wooden benches in a living room or even as a short stool for a home bar or kitchen/dining room. You can use the bench to store board games for family game night as well! 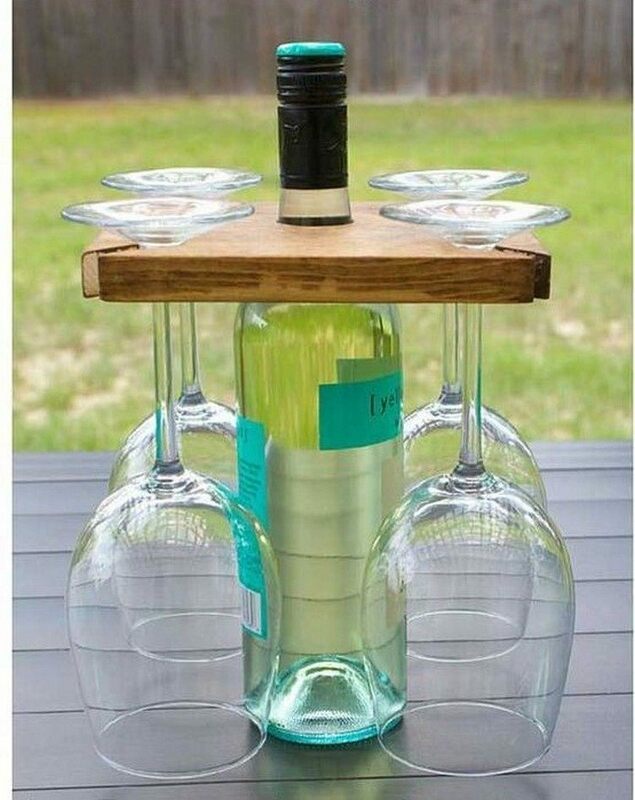 This wine and glass holder looks so simple but it can be a real conversation piece when your friends or family come over for a visit. What a simple yet elegant way to serve wine.2. 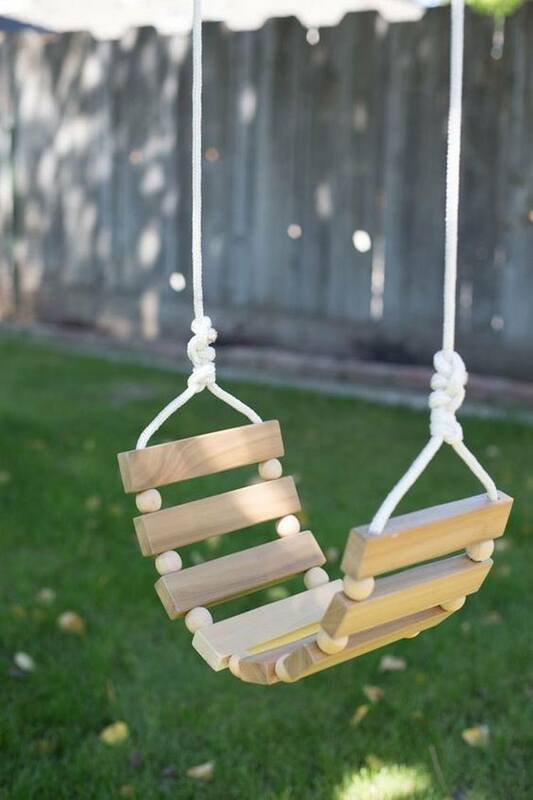 This is one of those woodworking projects for beginners that can easily be made and people can have their fun with it especially the kids. A few cubes of wood, a little paint, a tray to hold the cubes and you’re done. A great way to relive this classic game. 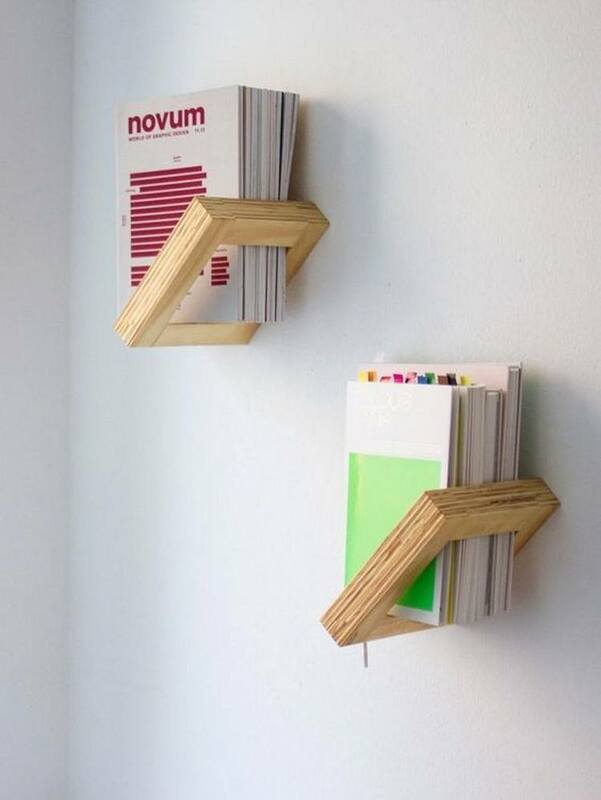 If you have any bookcase plans, cancel them right now and make yourself these instead. They truly are for the minimalist scholar in you. There might not be enough space for a lot of books here but you can probably solve that by using multiple shelves. They look better collectively anyway. 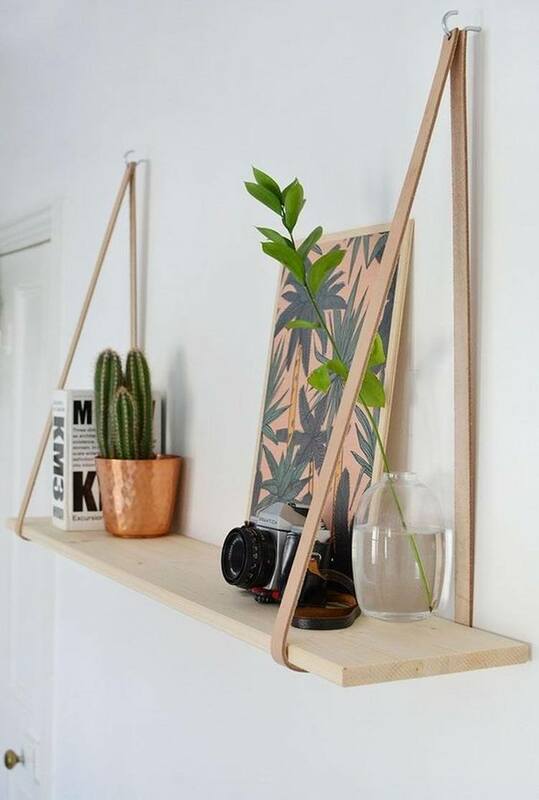 As long as we’re building stuff that hangs from walls, why not go for a hanging shelf too. 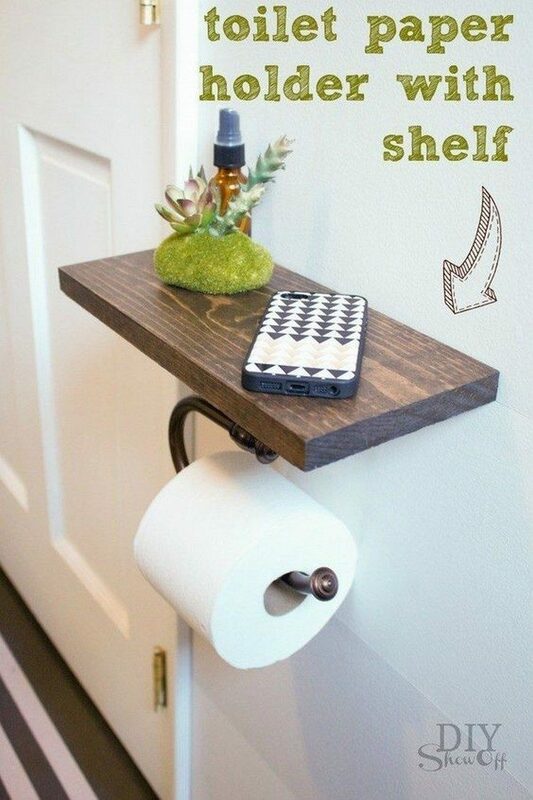 A great way to make some extra space for stuff to put. Simple and classy. Not a bad combination eh? Everyone needs a long hot bath every once in a while. 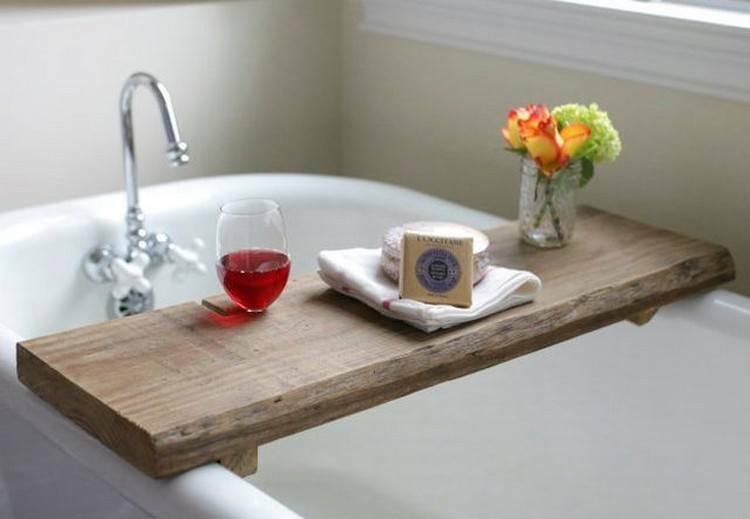 This bath caddy is an easy wood project for beginners and comes that can come in handy the next time you take a long bath and feel like reading a book or a magazine while you’re in there. Breaking out the flora in style! A simple design which isn’t that hard to pull off so you’ll definitely enjoy making this. This is something that’ll definitely add little something to the living room. Your personal hanging garden. Take that Babylon! 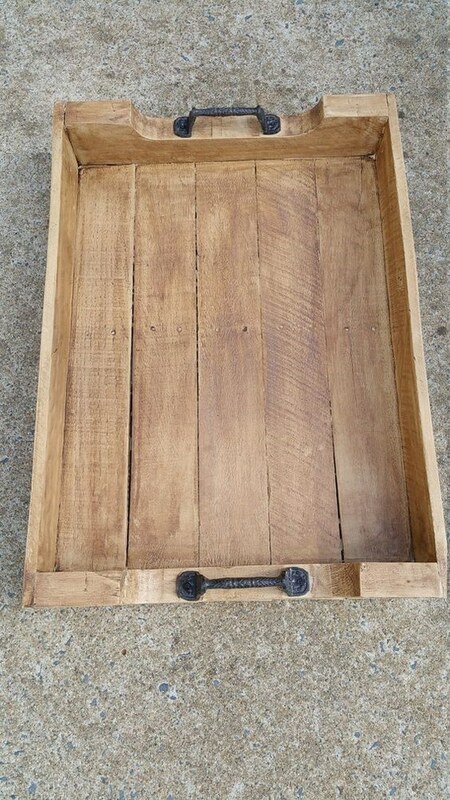 This is an example of simple wood projects that sell great. Never again will the corner of your room be dull again! Its just so mesmerizing to look at. It is a great decoration piece to have in the lobby. Not too much and simple enough to craft. Get extra creative and have some fun to label it too. This quite frankly is one of my personal favorites! So simple yet dead useful. 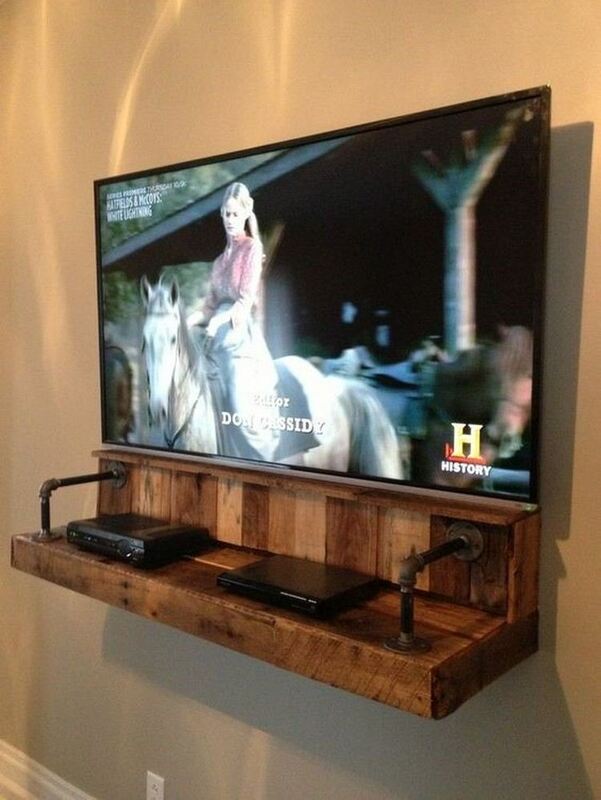 This is not only a great DIY wood project, it’s a great investment. And made all the more satisfying by the fact that you didn’t buy it but made it yourself. Unlike traditional ﻿ladders, this bedroom ladder is really a must have for any bedroom. 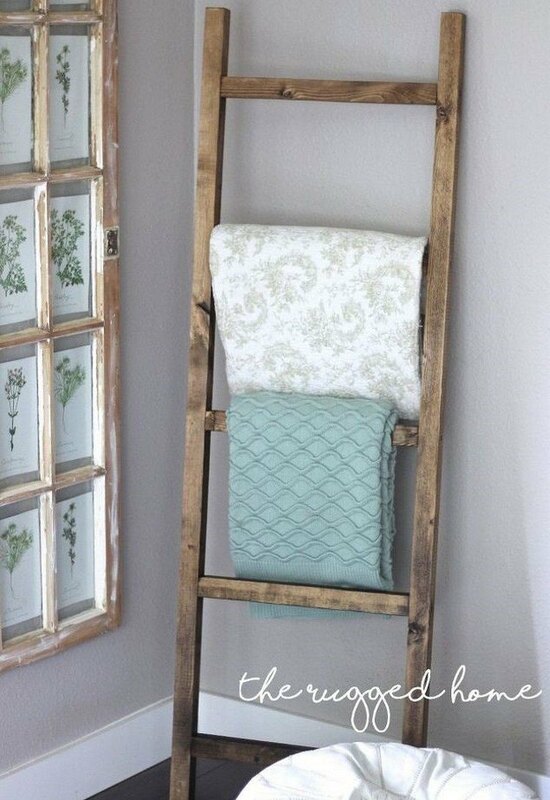 Easy to make and you can hang all sorts of stuff on the rungs like towels and quilts. Something to you can admire and put to use in the kitchen. 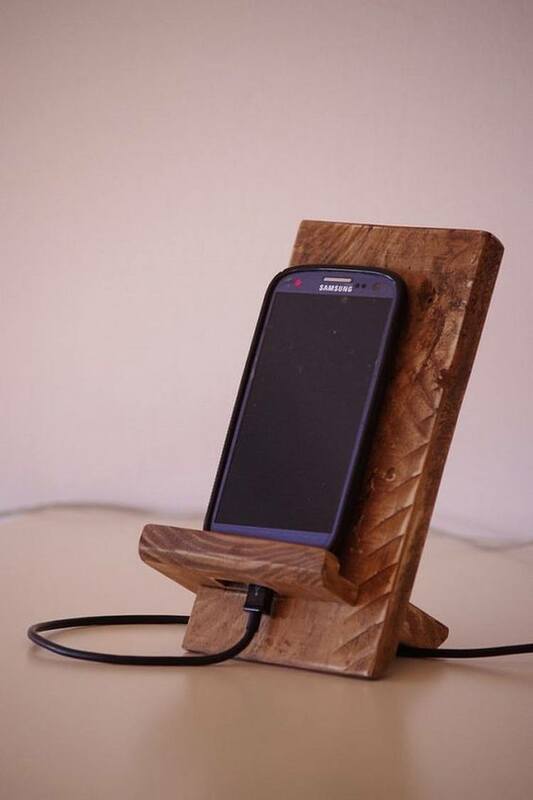 An excellent example of a simple woodworking project for beginners. 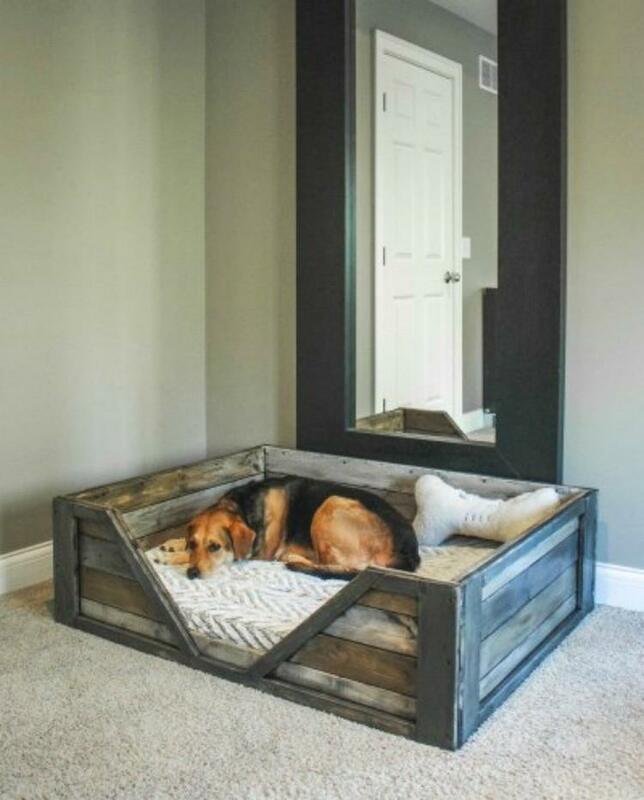 Just something you could do with your new found talent for man’s best friend. Can also be done if you own a cat too but word of advice, get a dog. They’re more fun. This is just a little something that you can add to the back of your bedroom door or inside your dressing room. Maybe even add a little layer of varnish to give it a little more classical look. 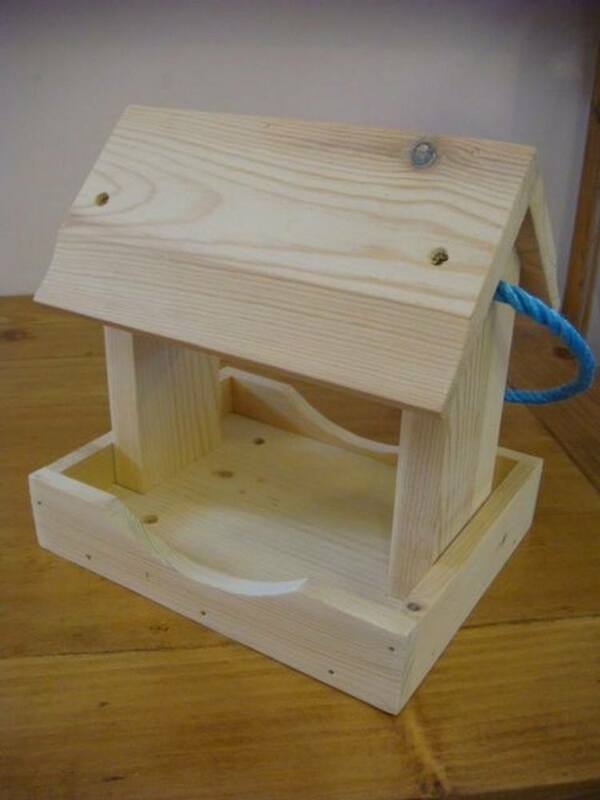 A great example, of a﻿﻿﻿ ﻿﻿﻿﻿simple wood working project for kid﻿﻿s. Nothing fussy about it and rest assured, she may seem small but this little birdie can HODOR! 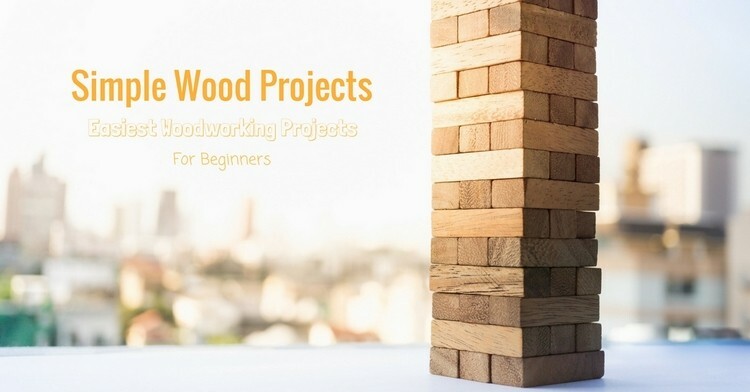 If you’re looking for free and woodworking projects for beginners, look no further because this is it. 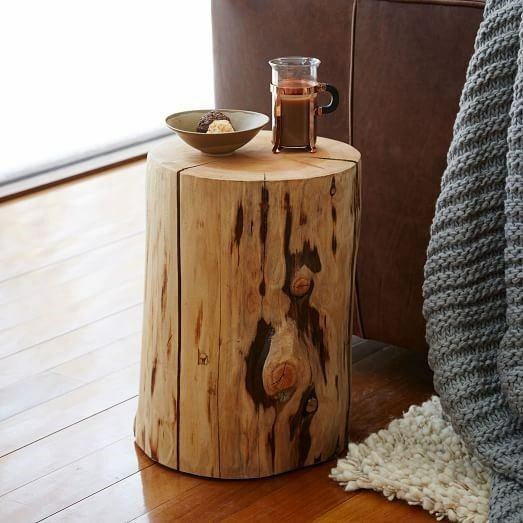 This side table is made entirely of scrap wood and can be useful in some ways. Also the combination of different shades of scrap wood gives it that extra artistic edge. 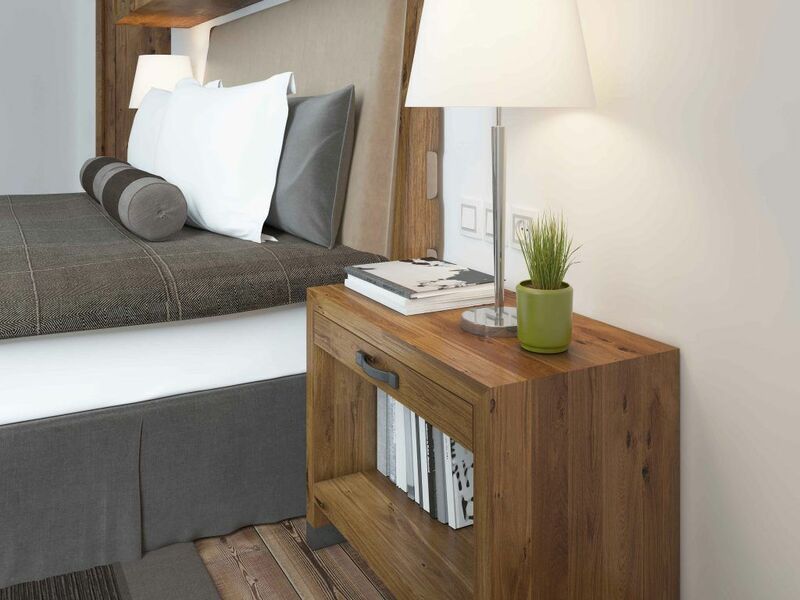 A great wooden table to have by your bedside. 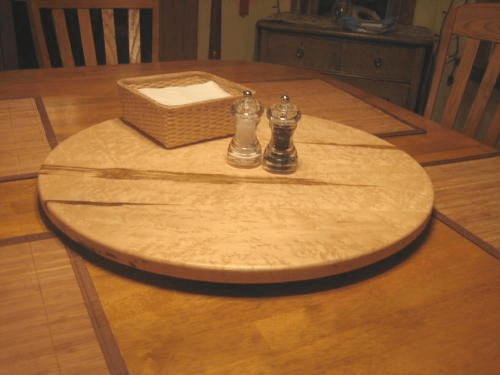 This is an excellent woodworking project for people looking to make something they can use around the house. This shelf, with its hinges made from industrial pipes is something that’ll fit right in your living room. Your television related electronics will fit right at home on this shelf. Here is something to make your holidays a little more festive. 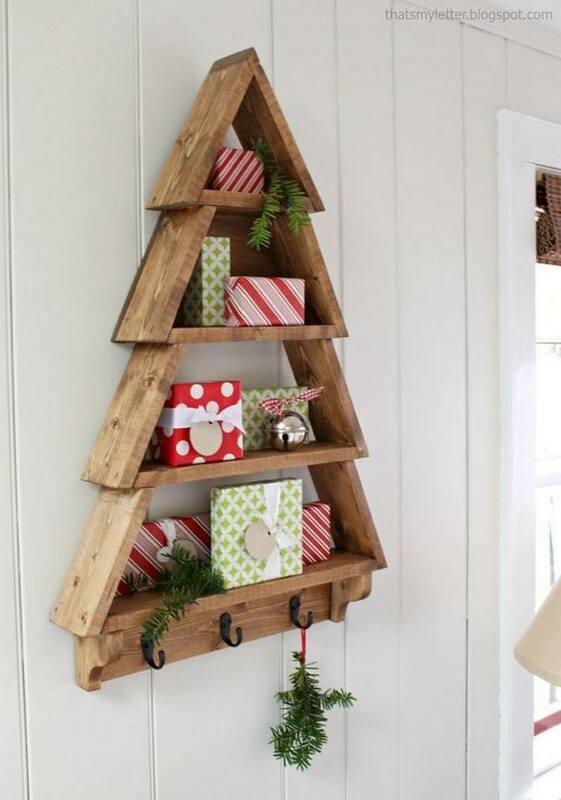 Break this out this Christmas instead of a traditional tree. It’s a great place to put the presents in hang the stockings at the same time. If you want to go overboard just through on a little more decorations and spend that extra holiday cheer. Wow! 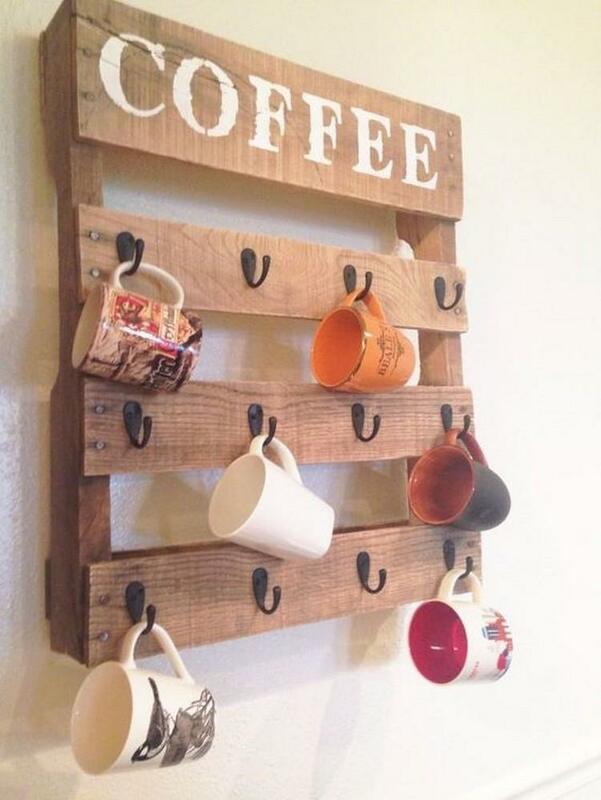 This may well be the simplest woodworking idea ever! 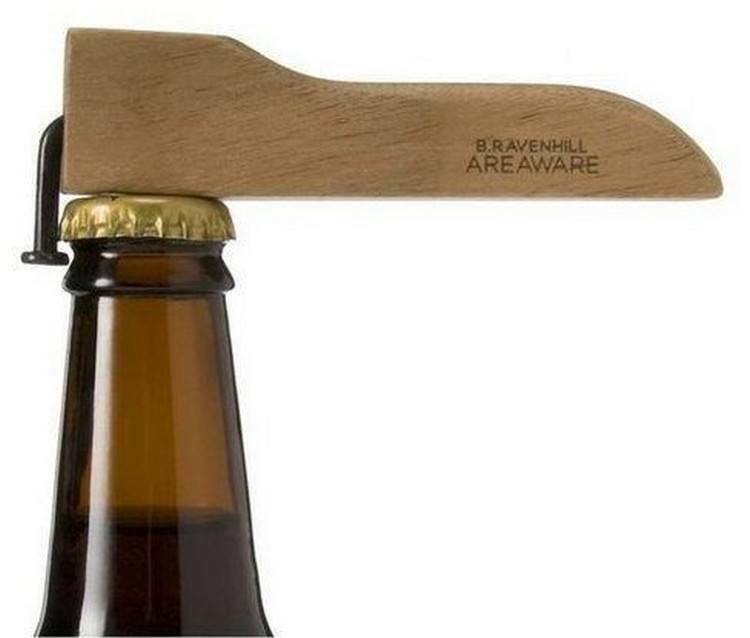 A nail and a piece of wood can be combined to make a bottle opener. Who knew? If your couch isn’t close enough to the coffee table, worry no more. 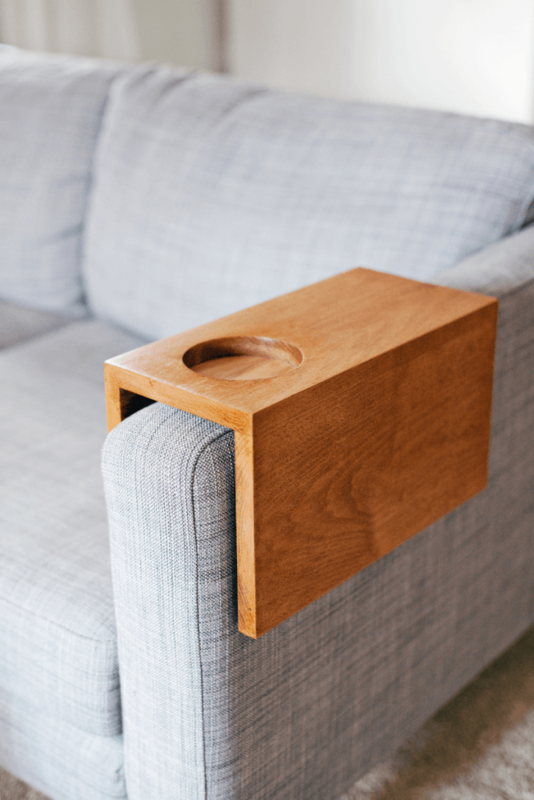 This nifty little craft will provide a spot for your coffee and a slot for your magazine or newspaper. I wasn’t kidding when I said it was nifty. Ever feel like there is no place to put your cell phone while you’re in the bathroom. Don’t worry we’ve all been there. Here is something you can craft for a solution. And admittedly it also looks so much better than the ordinary toilet paper holder. This is a simple and small wood project. Not too many complexities involved and you get a pretty cool decoration artifact out of it too. This tray may look simple but when it comes to uses, it has plenty. Just think of everything you can do with a tray. Yup it does all of that. What’s better than a guitar stand? 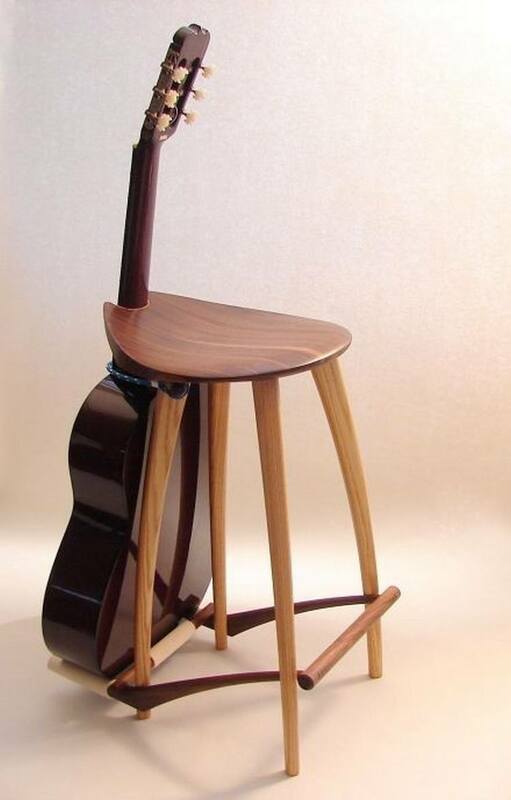 A guitar stand that you can sit on. This is one for the multitalented people who enjoy both woodcraft and the guitar. Ah the birdhouse. 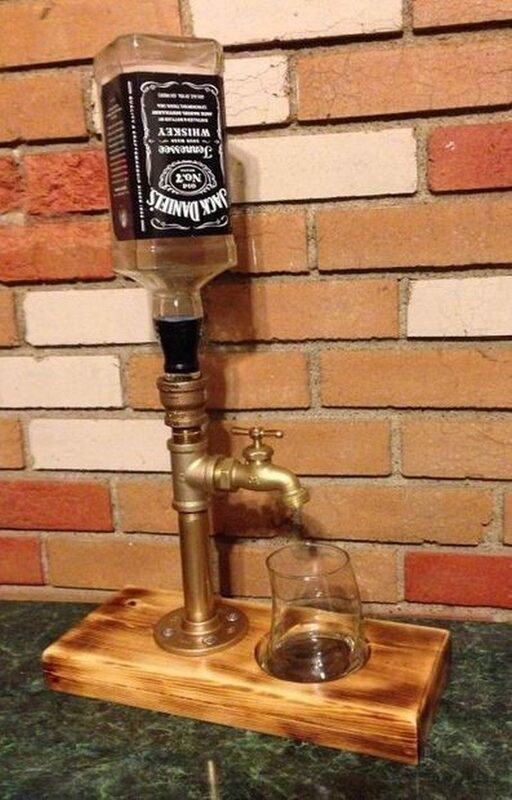 Everyone into woodcraft has to make one sooner or later. But this is a relatively simpler one to get you started. What are two most masculine things in the world? Beer and Lumberjacks you say? Why not combine the two and make the most masculine thing ever! 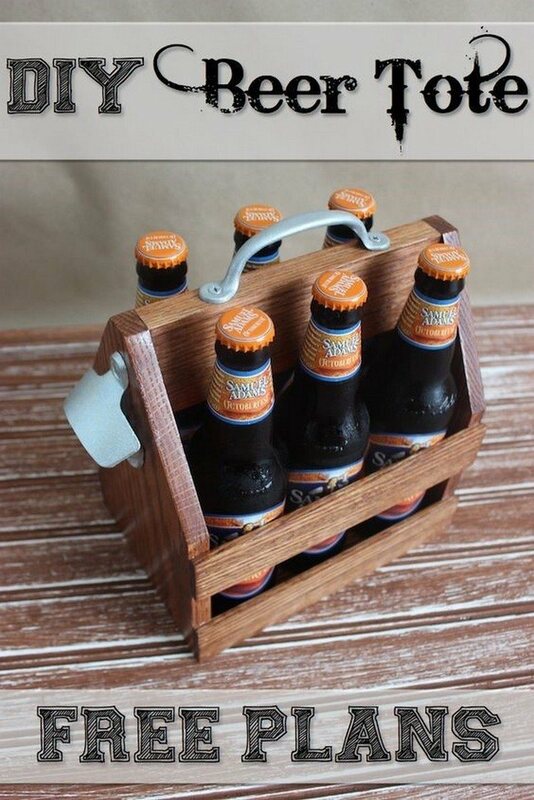 Ladies and gentlemen, I give you the beer tote! Here’s another one the kids ought to enjoy. Simple enough to make and loads of fun. The wood skills required may not be expert level but let me ask you this. How good are your knot trying skills. Again, one of the simplest designs that you’ll find mentioned here. But it’s funny how the simplest things look so good when used correctly and in a whole new perspective. Hey, if you don’t have the knot tying skills to make the swing above don’t worry, just set the swing down at your front door and we’ll stick to calling it a welcome mat. Dodged a bullet there didn’t we? Don’t look now, but here is a chance to channel your inner romantic. 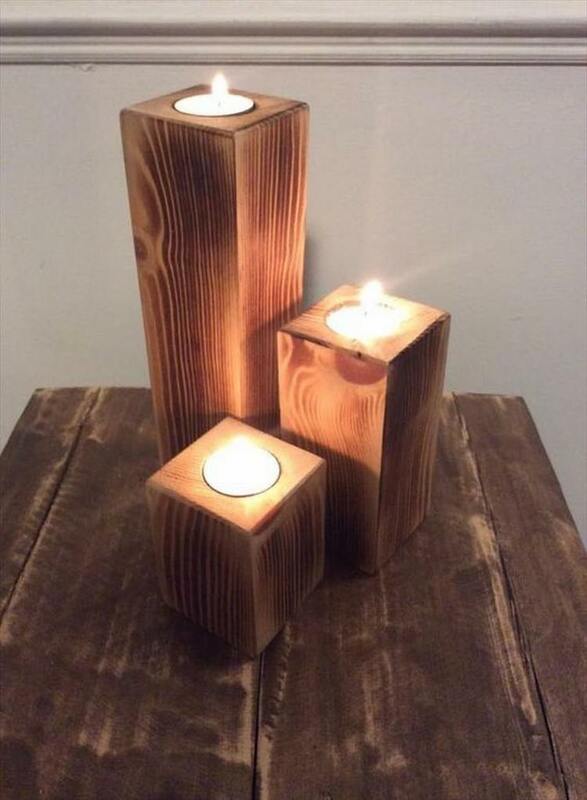 That’s right, wooden candle holders. Pull this off, and they’ll be swooning all over you. After all, what are artists if not mysterious and romantic? 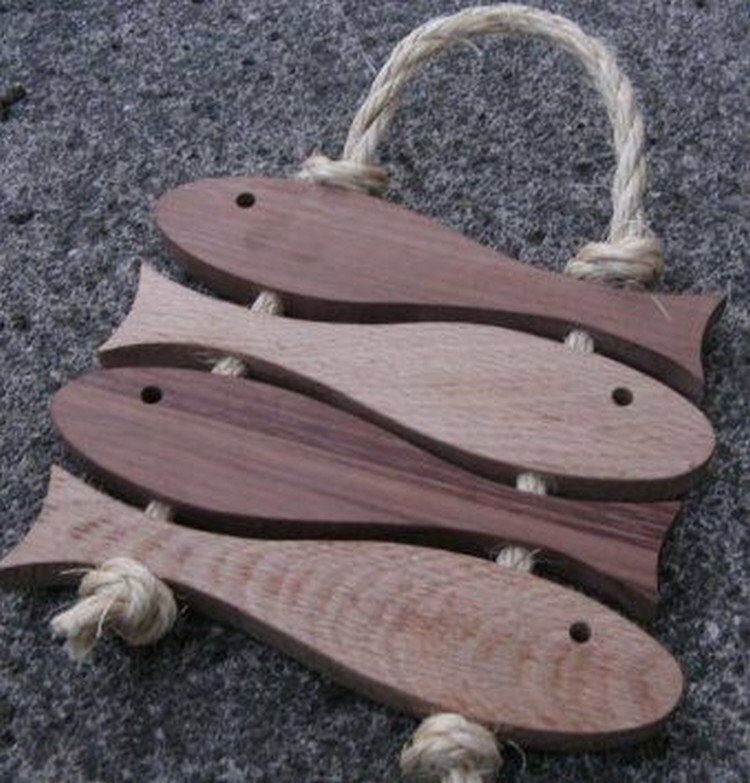 This article covered just a few of the many possible projects you can pick as you begin to steer the waters of the Woodcraft ocean. But we‘re just getting started here. A lot of great ideas have been put out there by a lot of talented people. Be sure to check these top 150 woodworking tools to start with the wood projects. And who knows that if you develop enough skill, someday we’ll be telling you about some of the trickiest wood crafting projects you can make to test your skills. Until then, we hope you have your fill of fun with these. Check out more projects, woodworking, how to's, and tool reviews here! This is a great collection of DIY projects that are fun to make. I agree about how fulfilling it is to see something in your home that you made by yourself. 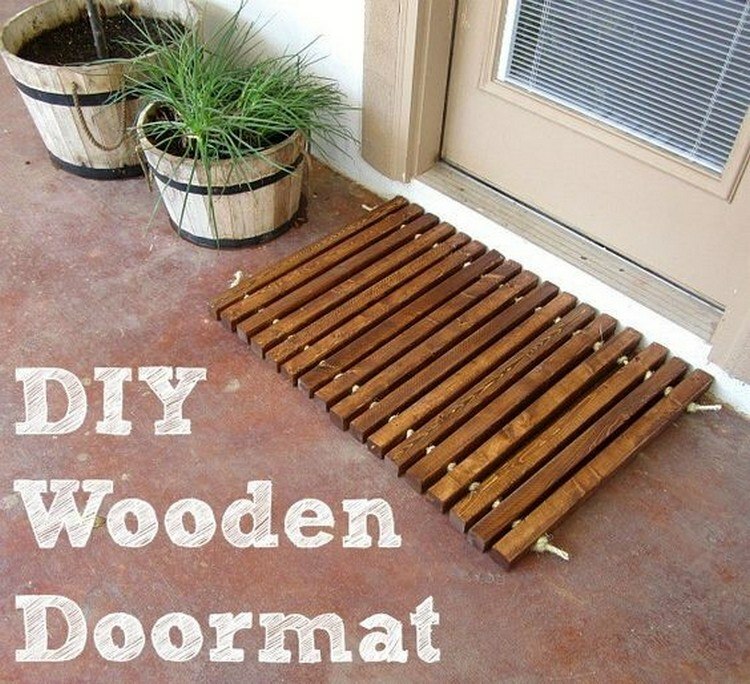 I personally want to try making the wooden doormat and the drink dispenser.